Escape to the pristine shores and excitement of Fort Myers Beach with your very own luxurious suite at Seawatch On-the-Beach. Browse timeshare resales and rentals priced up to 70% lower than retail costs today. What’s My Seawatch On-the-Beach Timeshare Worth? 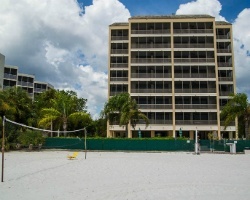 Located right in Fort Myers Beach along the crashing waves of the Gulf of Mexico, the Seawatch On-the-Beach resort specializes in providing luxurious accommodations in one of Florida's most beautiful destinations. 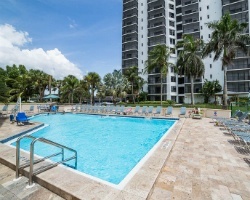 From your very own tropical-inspired timeshare suite, you'll find all the best attractions the Fort Myers area and Estero Island have to offer within close proximity. Spend your days taking in the Florida sun, or take to the waters to surf, jetski, fish, and so much more. Stay on-site to enjoy the resort's lavish swimming pool or hot tub, or play a round of tennis at the resort's own courts. However you want to spend your Floridian break, do it in luxury from the Seawatch On-the-Beach. Timeshare units at the resort range from one to two bedroom suites, all equipped with modern furnishings and up-to-date electronics. Perfect for couples, families, or even groups of friends seeking a beach getaway, the suites at the Seawatch will guarantee enough space for your entire group. With desirable in-unit features like private balconies, full kitchens, and even laundry machines, you'll have everything you need to enjoy your trip with your very own home-away-from-home. Are you ready to find luxurious accommodations at Seawatch On-the-Beach? Fill out the form on this page to learn more, or call a representative at 1-877-815-4227 for more information. Purchasing a timeshare at the Seawatch On-the-Beach resort will provide you with years of great trips and exclusive vacation benefits. However, buying that timeshare on the resale market can get you all that and more for thousands less. Because timeshare resales are sold by current owners and not by the resort itself, prices for ownership intervals are often much lower than retail costs. You can find resale advertisements at the Seawatch for discounts of up to 70%, allowing you to save money while securing years of great trips to Florida. 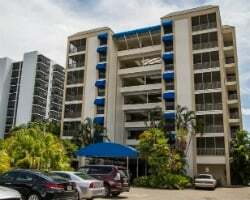 Resales at the resort are typically available in the deeded fixed and floating weeks, with some coming in the form of Hilton Grand Vacations Club points. This kind of variety will enable you to find a timeshare that is perfect for you. Seawatch On-the-Beach timeshares also fall within Hilton's Silver, Gold, and Platinum seasons, offering a great deal of price points to match your preferred budget. Finally, a resale can lead to even more exciting vacation benefits from the Hilton Grand Vacations Club. Seawatch On-the-Beach is a Hilton Grand Vacations Club-affiliated property, giving resale buyers a chance to unlock some truly amazing vacation benefits. While you won't be able to join the club at the Elite level, you'll still have access to a collection of exclusive perks and privileges. Convert your timeshare week at the Seawatch into HGVC points to make reservations and vacation planning a breeze. Bank or borrow those points for more flexible travel, or turn your unused points into HHonors rewards. 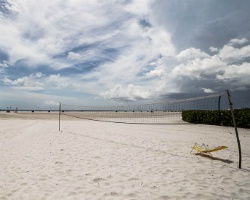 You can even explore vacation possibilities beyond Fort Myers Beach by booking stays at other Hilton resorts. The Seawatch On-the-Beach resort is also affiliated with RCI, the world's leading timeshare exchange company. With a separate RCI membership, you can deposit your Fort Myers Beach accommodations into their exchange network and trade for stays at comparable resorts all around the globe. Exchanging your timeshare is a good way to get the most out of your resale ownership, as it can enable you to travel the globe and discover new destinations. Additionally, since the Seawatch is a Gold Crown-rated resort, you'll likely be able to trade with resorts of similar quality and upscale amenities. This luxurious Hilton Fort Myers Beach resort includes a number of fantastic on-site amenities and services geared toward making your vacation experience one to remember. Start off by sunbathing by the resort's gorgeous pool, or relaxing in the hot tub during the evenings. Head out to the beach, just steps from your door, to enjoy days of endless fun in the surf. Head to the tennis courts for some friendly competition, or plan a picnic near one of the on-site barbecue grills. The surrounding area provides plenty to do and see, as Fort Myers Beach cements itself as a pristine Florida beach destination. Charter a deep sea fishing expedition to try your luck at hooking one of the Gulf's elusive catches, or rent water sports equipment to surf, boogie board, or paddle board out on the calm waters. Spot manatees and dolphins out in Lovers Key State Park, or head north to Times Square to discover boutique shops and eateries. Find dozens of nearby beach bars for ample nightlife, or simply spend your time with your favorite book on the beach. Already Own at Seawatch On-the-Beach?